There isn't much left of the businesses that lined Route 66 in Truxton. Just one gas station is still operating across from the Frontier Motel. 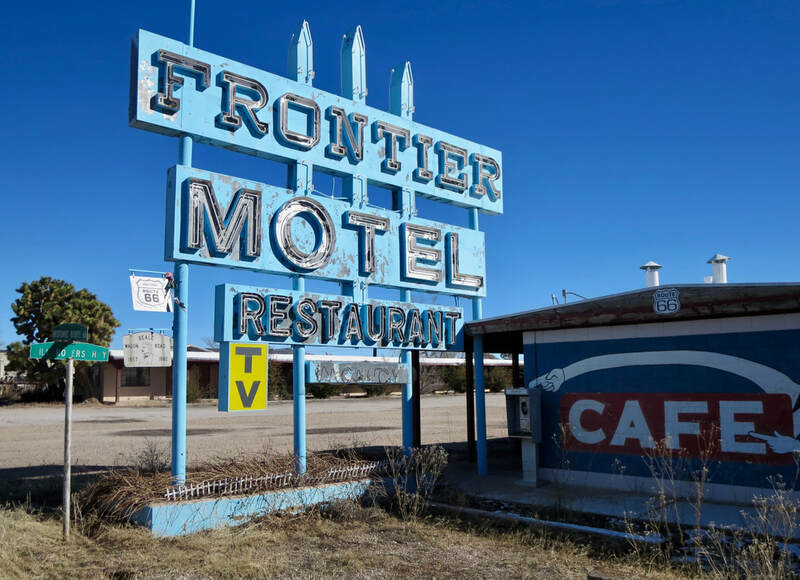 The Frontier's sign is a beautiful relic of the motel operated by Mildred and Ray Barker from 1957 until 2012. You can't miss the tall yucca trees outside Room 1 at the closed motel. Donald Dilts and Clyde McCune opened a gas station in 1951 in hopes that a road from Route 66 to the Grand Canyon would be developed when Bridge Canyon Dam was built on the Colorado River. But environmentalists objected to the dam and it was never built. 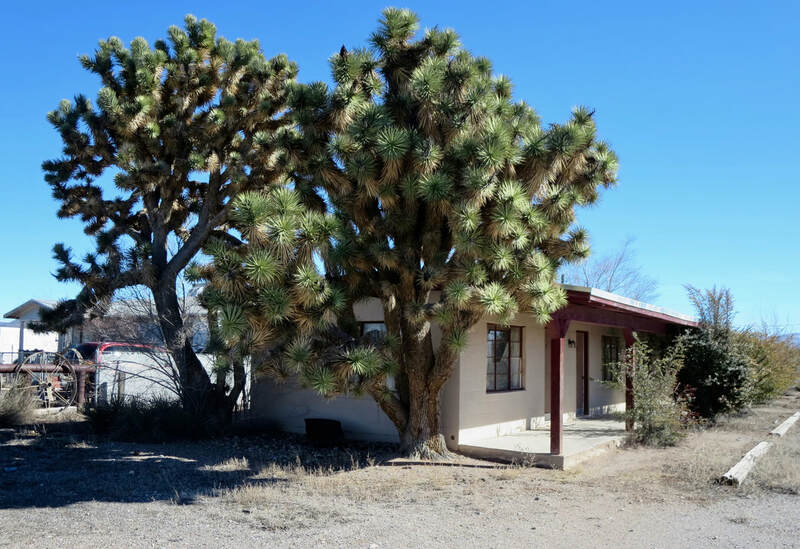 Truxton soldiered on with a handful of gas stations, motels and a cafe in the late 1970s when Interstate 40 bypassed the towns between Ash Fork and Kingman. The town was named for Lt. Edward Fitzgerald Beale's son Truxtun (note the spelling). Lt. Beale surveyed a wagon road from Fort Smith, Ark., to California in 1882-83. Beale found a spring at Truxtun and the Atlantic & Pacific Railroad later built a pump house and water tank to serve its trains. The A&P changed the name to Truxton. Room 1 at Frontier Motel is dwarfed by these tall yucca trees. ​To the east of Truxton, is Grand Canyon Caverns, a privately owned attraction with a motel, restaurant , RV park and closed gas station. The caverns were discovered in 1927 and went by the name Coconino Caverns and later Dinosaur Caverns until the early 1960s. There is a motel suite in the caverns 200 feet underground and a private dining room with a dumbwaiter serving guests. Mildred and Ray Barker operated the Frontier Motel starting in 1957. He died in 1990 and she operated the place until 2012. 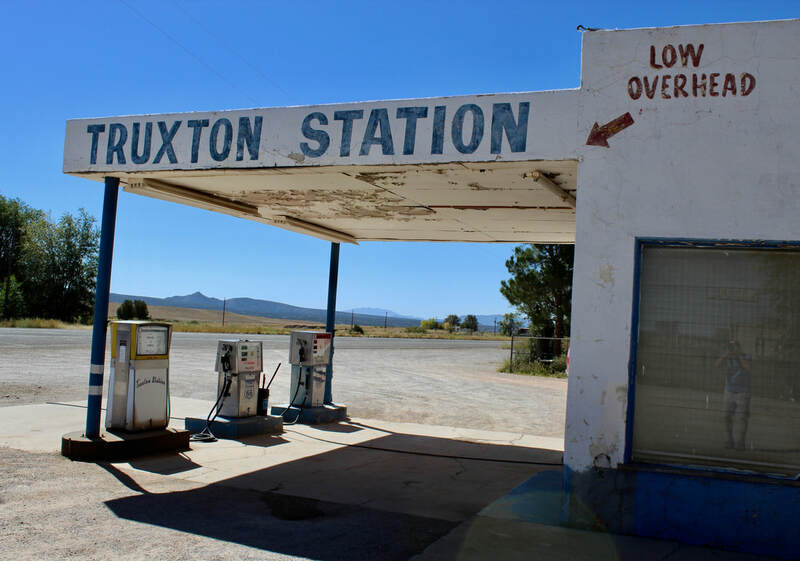 Truxton Station is the one filling station that's still selling gas in the town. Grand Canyon Caverns, east of Truxton, has a closed midcentury gas station. 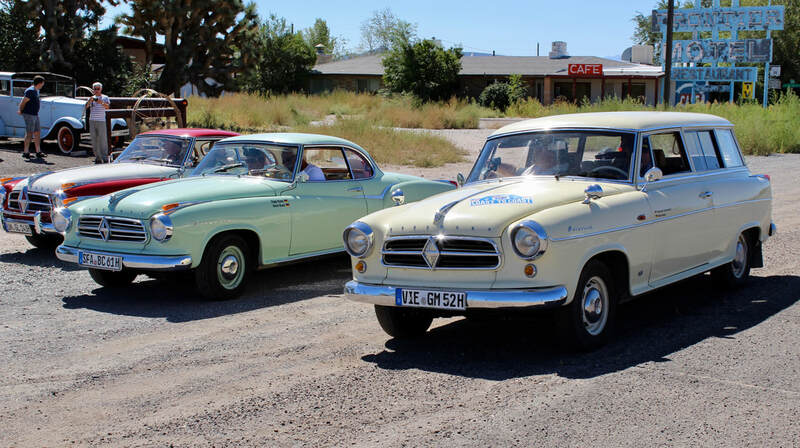 European visitors drove their Borgward cars, a defunct German brand, on a coast-to-coast trip in 2017 along Route 66 that included a stop in Truxton. 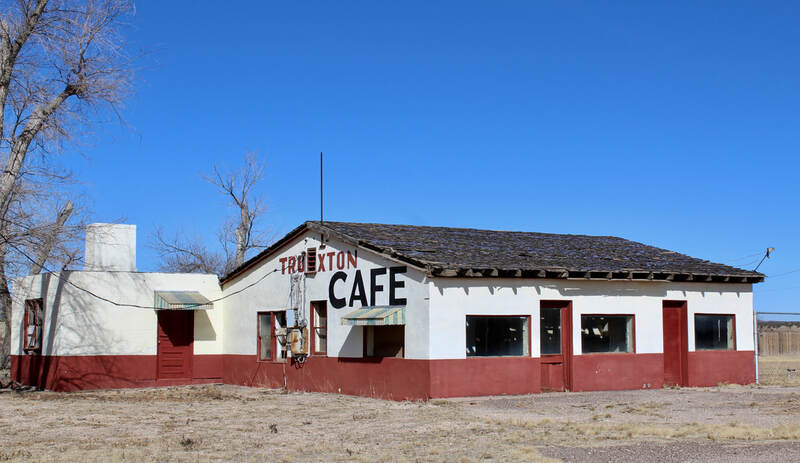 Truxton Cafe sits idle along Route 66 after decades of serving travelers along the Mother Road between Seligman and Kingman. Needless to say, the faded Orlando Motel has vacancies. 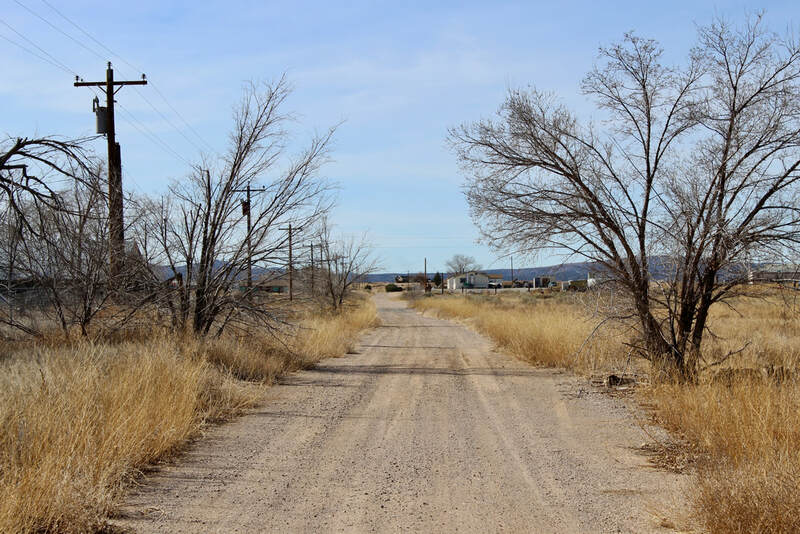 A Truxton back road runs parallel to Route 66 north of the highway.